Hope you can enjoy the collection of songs that are gathered here, with top notch musicians. Thanks! Thanks for the talents! And may God bless! 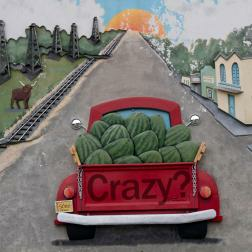 I just realized you including me in crazy album, really cool Jim and the drawing with the red car on the road is great, have you realised it ? Just seeing this somehow! Great mix and musicians! I must have remixed a song you had on here bc I don't see one, but I appreciate the inclusion! Thanks so much! Thank you for being included Gemmy, great fun for me, and a great album for you.